The on-demand economy is taking the world by storm. Co-working is becoming the only way to work. It was only a matter of time before tech-savvy entrepreneurs began to combine the two, to create a market of “Airbnb’s for space”. Here, Disrupt Africa introduces five African space-on-demand startups to watch (and use to find your desk for tomorrow). The first online platform we came across – back in June last year – aggregating available co-working space was Nigeria’s BuffrSpace. Currently still operating in beta, BuffrSpace aims to connect Africa’s substantial group of remote workers with co-working spaces that have empty desks using an on-demand application. Requests on BuffrSpace are on-demand, meaning users can rent space for as short a time as one hour, or a month, or even a year; while managers of co-working spaces have the benefit of monetising underutilised resources and facilities without any additional expenditure. The startup has development teams in Lagos and Nairobi, and aims to be Africa’s largest platform for on-demand workspace. It currently only lists Nigerian spaces. “We started out on this journey driven by the desire to contribute immensely to the “Future of Work” – which we believe is fluid, collaborative and technology-driven,” co-founder and chief executive officer (CEO) John Ojurabesa told Disrupt Africa. Other startups across the continent were quick to follow suit. Spritzed launched in South Africa in October last year, with the aim of building out Africa’s largest real-time network for office space. The online platform connects startups and small businesses looking to find affordable, short-term office space, with companies wanting to rent out their excess office space. 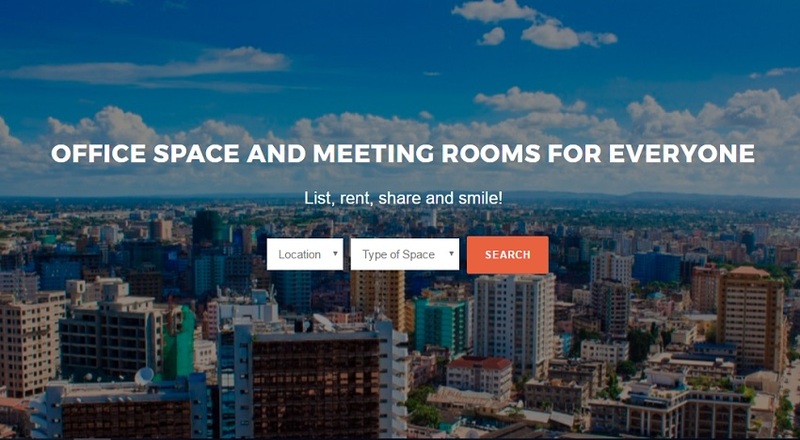 Companies with extra space in their building, or those willing to share their office, create a listing on the Spritzed platform; which also allows hosts to schedule tours for potential renters. Bookings are managed via the platform, which also processes payments, creating a “hassle free” experience for all involved. Earlier this year Spritzed began fundraising, looking to raise ZAR500,000 (US$37,250) to build out further elements of its platform, and enter a growth-focused phase. Tanzania’s Worknasi launched at the start of the year, proclaiming itself the Airbnb for office space in Africa. The model is much the same: the platform connects startups and freelancers looking for office and meeting rooms with office owners with spare space; whether a single desk, a cubicle, or a meeting room. The startup launched on the back of the founders’ own previous experiences as entrepreneurs of being unable to afford the cost of dedicated office space. “As a startup you can’t afford to spend huge amounts of money for an office, that is too risky because you can’t predict what will happen in a year, let alone in three months. […] So many startups and freelancers end up working and conducting meetings from coffee shops, where there is no concentration and no privacy for business meetings,” co-founder Edgar Mwampinge told Disrupt Africa. While the startup is currently self-funded, Worknasi is also looking for funding to be able to add new features to the platform. Nigeria’s Spacebook launched in February this year, and gives the on-demand space model a twist: the platform allows users to book space for events, working or living. Spacebook curates spaces according to their different categories, and displays their price, location and description. Customers can then book on the platform and pay instantly, or book a visit and pay at the venue. The solution was quick to take-off, listing 1,000 verified spaces within its first six months. It has since also launched a vendors platform to showcase professionals such as photographers, event planners, comedians and caterers. “We spotted a gap in the space listing and booking industry. There was no platform that created a one stop experience for the customer, we decided to create that and scale from there,” says co-founder Aina Tayo. Last but not least, the newest addition to the on-demand space market: South African startup Wahi. OK, OK – so this startup doesn’t exactly deal in office space specifically. Launched last month, Wahi is a safe and convenient peer-to-peer marketplace where hosts offer both commercial and residential space to potential renters. Ranging from industrial storage facilities to your neighbour’s spare room – this platform aims to allow any South African the opportunity to become an earner or entrepreneur by utilising their spare space. “Our main objective is to utilise technology to vastly improve the industry, where we believe it is currently inconvenient and too expensive. You could see [us]as the Airbnb of spare space, where the commodity is something many of us own – without even knowing it – and many others – often our neighbours – also need,” co-founder Michael Hodgson told Disrupt Africa.